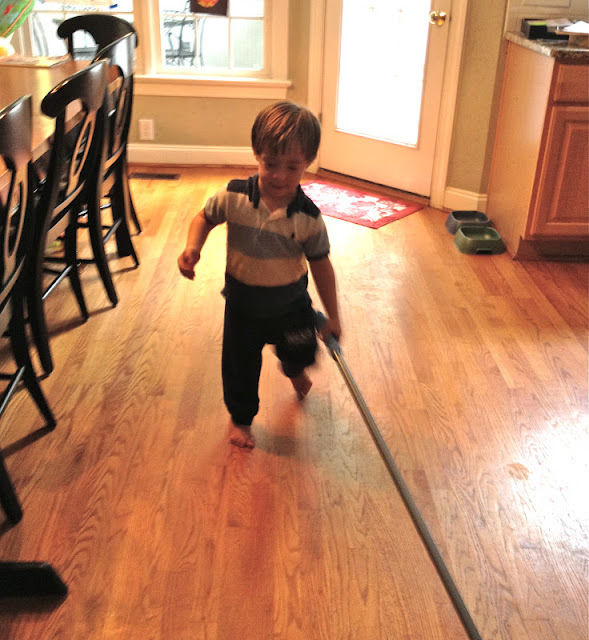 I was recently asked a question regarding chores and a 4 year old child. This mom wanted to know what she should expect of a 4 year in regard to helping around the house and even assigning her chores. I know this goes against the current culture, but we really believe that doing chores and helping around the house is good for children. I think it's so neat how my 19 month old even wants to sweep : ) Actually, I think he just wants to feel big and loves to whack the cat with the broom, but that's a different story. -Hand dishes to you as you are unloading the dishwasher. -Bring me the dirty clothes that an older sibling has thrown down the stairs and even help shove them in the washer. -bring down small waste baskets on garbage night to be emptied. -unload and load complete dishwasher with help. -make bed neatly and completely. -clean toilets with toilet brush and wipe off counters in bathrooms. By 7 years of age, most of my children have been able to do pretty much everything even though they will need training, supervising and it still may not be done as well as the mother or father would of done. It's nice to have the whole family working together on Saturdays to get the house clean (many hands make the work light, and fast!) and we all feel a since of accomplishment. We have had cleaning ladies or companies in the past, but the kids don't take quite the ownership of the house when they aren't the ones cleaning and keeping it straight. Now they are more careful about making messes and keeping it clean. They are also learning life skills (IE, "reality" when they are living on their own one day) and getting exercise in the process! This is so good. Children that don't learn to work can actually grow up being afraid of work. Little children love water, so they like to clean spots on the floor with a wet rag. Also they can wipe door knobs and the front of the refridge doors with cleaning wipes. Yes, we do pay for chores.....when I remember :) usually the kids remind me though. I pay them weekly, a quarter per age if they have done all their chores with a good attitude. I too wanted the kids to learn how to handle money and some pay for their work. We also pay for extra jobs they do that are over and above regular chores. We all also do chores at our home. 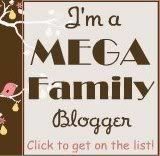 I totally agree with your list!! And little ones love to help. My little ones, usually around age three, get SO excited about being able to clean toilets. We make it fun, and they get to pick out their own toilet bowl brush. We began this with my oldest daughter, and she still loves to clean toilets. It is all about attitude and perspective. Great post! It's so nice to see parents teaching their kids to do chores. I know to many families were the kids do nothing and the parents are totally beside themselves doing everything. My kids range from ages 11-1 and I know that if I'm sick or end up down for a day or two that my kids can hold down the house. I can get the rest that I'm needing while the house stays clean and everyone fed. Teaching them at a young age is so important and they grow up taking pride in what they can do and look forward to adding to that list as they know its because they are getting bigger and can handle more work,not that it's a punishment or something to dread. A child should be trained and groomed to do chores so that when they grow up they know how to. I agree with your list. It's appropriate ans suitable for the given ages. Thanks for the list. It would be useful for me.